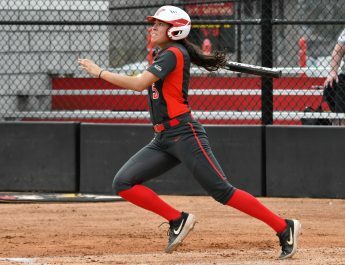 Over the next week, the Youngstown State University softball team aims to regroup at practice following a winless start through four games of the 2019 season. Following losses to East Carolina University, 11-4, Towson University, 8-0, Miami University, 6-0 and most recently the University of South Carolina Upstate, 2-1, the Penguins are looking forward to getting back on the practice field to make adjustments before hitting the road again next week. 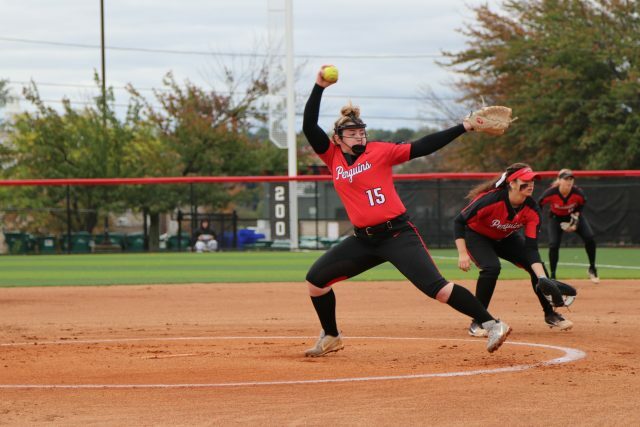 Tatum Christy, a junior sports broadcasting major who plays second base for the Penguins, says the rough start to the season is very eye opening. While the eye-opening start to the season has motivated the Penguins, the team won’t get the advantage of playing at home for another month. A total of 22 games will take place before the team’s home opener against Kent State University on March 20. Brian Campbell, manager of the Penguins, said while the first leg of the road trip resulted in no wins, there are now learning experiences the team can build and improve on. Bright spots from the first four games of the season were sophomore Nikki Saibene who scored a run in the season-opener against East Carolina and junior Elizabeth Birkbeck who had two RBIs. With a week back inside the Watson and Tressel Training Site for improvements, the Penguins can focus on what needs the most improvement. After a game in which the Penguins didn’t record a hit against USC Upstate, batting will be at the forefront. “It gives us a chance to work and break things down a little bit. It’s something that we’ve done in the last few years to work on things and improve. Better at-bats and being a little bit more disciplined as hitter,” Campbell said, regarding the key to getting the Penguins’ first win of the year. YSU will travel south once again for a three-day, five-game stretch starting with a doubleheader against the Winthrop University Eagles followed by the University of North Carolina at Charlotte on Feb. 22. “It can definitely be difficult [playing on the road], but at the same time, having such a rough week, that was the push we needed and I think we’ll be good from here on out,” Christy said. Coach Campbell added that it’s a long season for a reason, and the Penguins will remain tough during their toughest stretch of the season.